The tradition of giving the newlyweds luxury bed linen was born in the XIX century. It was believed in dowry if the girl was a beautiful set, decorated with embroidery or lace handmade, so the young man made the right choice. In Australia today, and every store you can find home textiles special wedding underwear sets, made of the finest fabrics finished deserving admiration. It is worth the laundry is not cheap, but because it teaches young couple, usually close relatives. In Australian stores sets of bed linen, designed specifically for newlyweds gift you will not find, but to find a suitable option is not difficult. 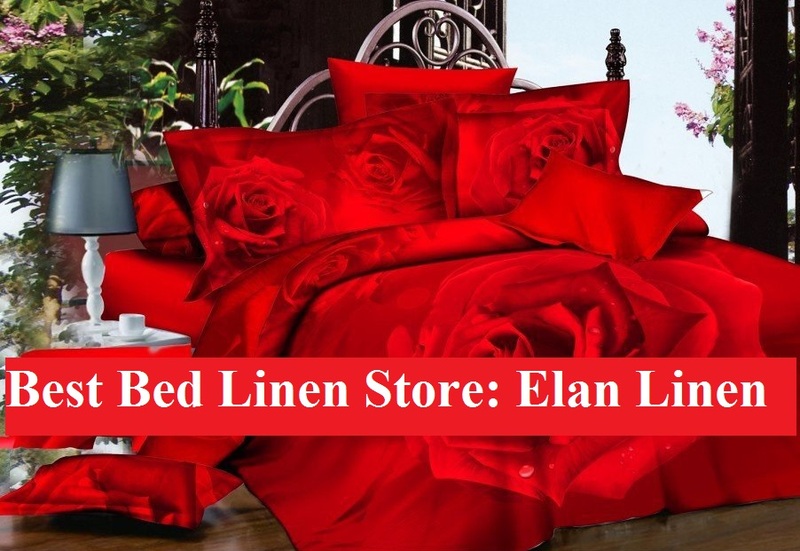 Especially if you go for buying not just anywhere, but in the real center of the home textile fashion - online store Elan Linen. To start, determine the materials. How should it be? Of course, the best - natural, high-quality, modern, practical and very beautiful. This can be silk, satin and premium jacquard. All these fabrics look expensive and elegant; they are pleasant to the touch and are able to surround the newlywed’s present comfort. Pay very close attention to decorating. It can be much richer than in everyday sets. But the early years of family life and should be shrouded in romance and tenderness. Therefore, do not be confused by the many ruffles and frills, lace inserts and rich embroidery, a scattering of beads or sequins. Especially reliable manufacturer certainly will make sure that the decorative elements do not interfere with a comfortable bed. Many disputes can cause a range of colors. After all, traditionally white in Europe and Australia was considered a symbol of innocence and the wedding itself. And hence the gift set was supposed to be just white. Needless to say, white linen looks very elegant and even solemn, but it is not a reason to abandon the purchase of models of other colors. As a gift for the wedding is perfect for any set of delicate shades: champagne, ivory, pearl, coral or muted purple. The young bride necessarily is delighted underwear pale blue, pink or green. Bright personality and extraordinary will appreciate the bold decisions and contrasting combinations. A true connoisseur of luxury will be grateful if you present a set of rich, but no less noble, coffee or dark blue shades. Cannot decide which of the two sets of bed linen? It does not matter! Purchase two sets at once, because exactly one year later the couple will celebrate its first anniversary - the cotton wedding. And your gift will again have the way!